Old letters, certificates, and other documents are often hard to read. This might be due to bad document conditions, but it is more likely the fact that written texts were mainly in handwriting before 1900. The former way of handwriting is no more part of any curriculum and people nowadays can hardly read it (s. pic. 1). If you own old family documents, which you are unable to read, such as granny’s recepies, old certificates, letters, postcards, or army postal services, I would like to help you with the transcription. This includes: Sütterlin, Kurrent and Kanzleischrift. For this, I need good quality copies of the original documents, or scans in a high resolution (preferably jpg format). Never send your precious originals as Research Services cannot assume liability in case of damage or loss. In any case of interest, I will be more than happy to receive a message. In the German-speaking part, the German „Kurrentschrift“ was predominant in common everyday and official writings during the first third of the 20th century. 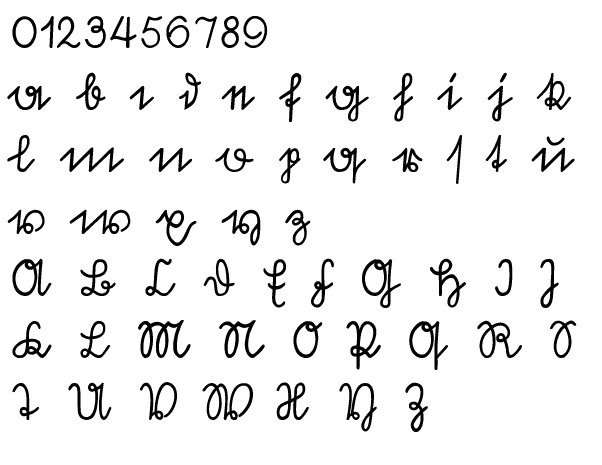 This very rolling style of writing is characterized by acute-angled letters and their varying font-weight (s. pic 2). Up until the 1880s, when the type-writer eventually came out, „Kurrentschrift“ was used even for agencies and protocol writings, such as Austria-Hungary’s. 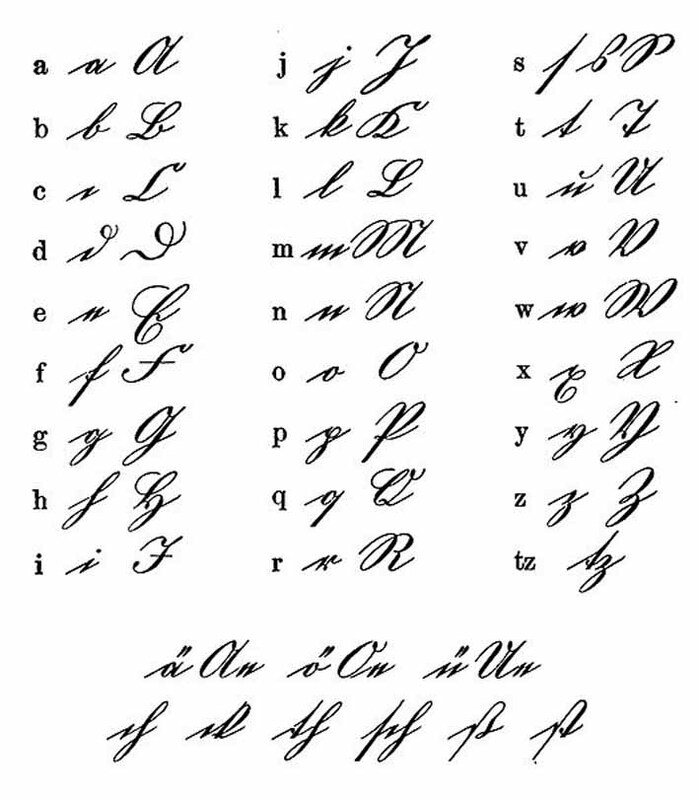 Kurrent developed to be a fancy writing style, but it was hard to learn for students. Therefore, the Prussian ministry of culture assigned the graphic designer Friedrich Sütterlin (1865-1917) with the design and development of a standardized German handwriting for schools. It was introduced in 1915 and is now known as „Sütterlin“ (s. pic. 3). With the simplified letter shape and the introduction of standardized quills, Sütterlin created a handwriting that began to displace the Kurrentschrift by the 1920s. In 1935 it became mandatory for any curriculum. Often, Sütterlin is understood as the image of German writing, and together with Gothic print it is related to the Third Reich. But within the National Socialists’ framework of worldwide plans about conquest and reorganization, even the German face was adapted to the standards of the Antiqua format. For this reason, in January 1941 Gothic print was forbidden and defamed as „Schwäbische Judenlettern“ [Letters of Jewish Swabians] (s. pic. 4); on September, 1st in 1941 a rearrangement of cursive followed accordingly. With an order of the ministry of science, education, and national education, the Latin „Normalschrift“ was introduced mandatorily from school year 1941/ 42. Today, German handwriting and print underly the in 1964 specified (and disputed) classifications of DIN 16518. 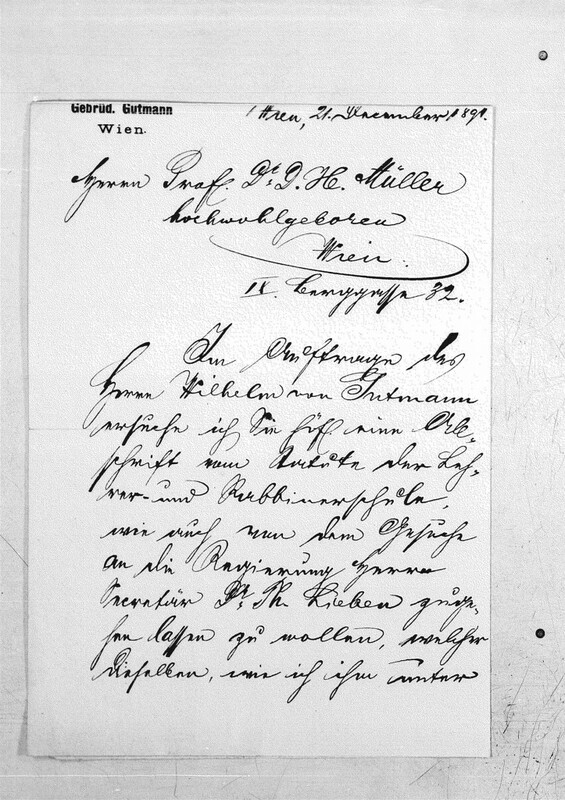 [pic 1]: First page of a letter from the secretary of the brothers Gutmann to the honorable Mr. Prof. Dr. D. H. Müller, IX. Bezirk, Berggasse 32, Wien; 21. December 1891; Source: Central Military Archive in Moscow, stock 707, finding aid 1, No. 4, p. 42.